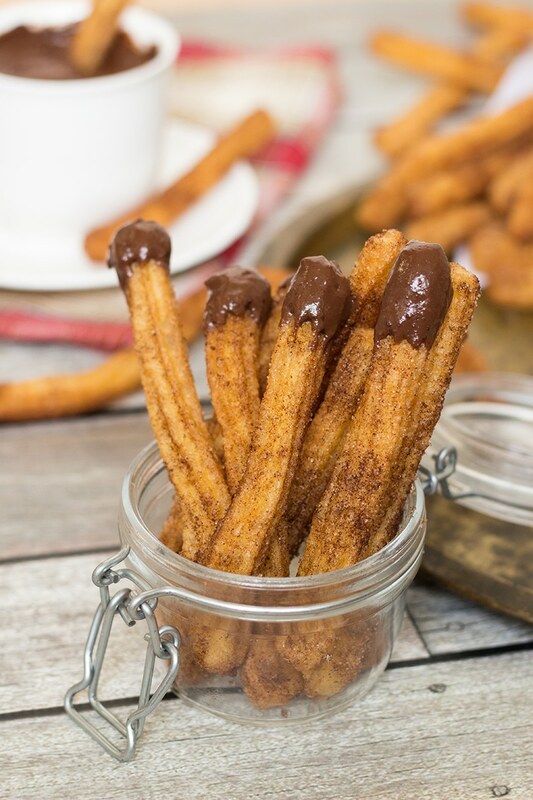 Churros Con Chocolate is a Spanish favorite and it is guaranteed to become your favorite too. These little treats have spread all around the globe and I can easily understand why. Crispy cinnamon-y sticks served with hot chocolate for dipping. Who wouldn’t love that? 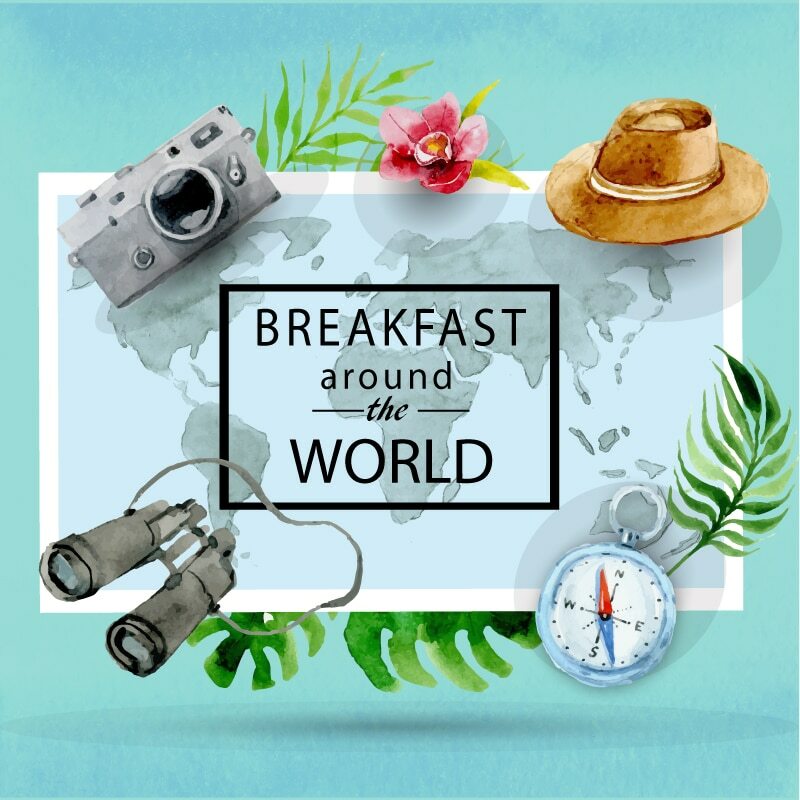 If you will ever stroll down the beautiful streets of the Spanish capital, Madrid, in the morning, there is a big chance your eyes will catch stands offering Churros Con Chocolate. I bet it’s not the first time when you hear about Churros, but if it is, Churros are sweet, deep-fried dough treats. 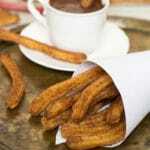 Usually they are dipped in a hot, thick, pudding-like chocolate, hence the name – Churros Con Chocolate. 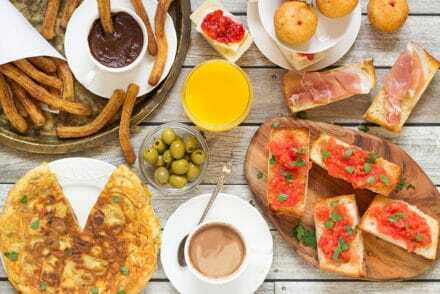 They can be called a national breakfast in Spain, because the popularity of these little guys is unbelievable. Yes, obviously, it’s not the best breakfast option if you are on a calorie watch. But they are so damn good! There are foods that are really worth putting your diet on hold. Churros are one of them. Most Americans are well-acquainted with these little treats, but mostly because they are also popular in Mexico. Many even think that these fritters are Mexican (I am not sure why), however, after my own little research, I can confidently say that Churros are Spanish. 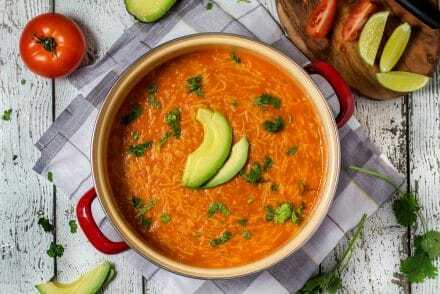 Yes, they are popular in many countries besides Spain, such as Portugal, France, the Philippines, Peru, Venezuela, Colombia, to name a few, but only in Spain they are considered a national dessert. The origins of Churros are not clear. There are a few versions. 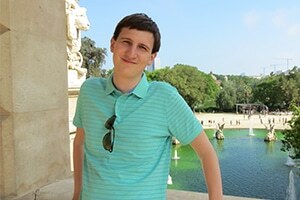 The first one, which I like the most because it makes a perfect sense, is that they were brought to Europe from China. It is said that Churros were created from Chinese donuts, called Youtiao (I thought about making them for the blog few months ago). The only difference is that Asian treats are made by pulling the dough, while European are made using a star shaped nozzle. Another version says that Churros are originally from Spain and that Spanish shepherds created them, because they wanted a treat that is easy to cook in an open fire. It’s hard to say which version is correct (or maybe they both are wrong) but we should say a HUGE thanks to anyone who brought us this amazing snack! Churros themselves are really amazing. I love that they are rolled in a cinnamon and sugar mixture. BUT. The addition of the chocolate, the fact that we can dip these guys into the thick, sweet, hot chocolate – that’s what makes them fantastic to me! I am a huge fan of chocolate so it’s my paradise. If you have never tried Churros Con Chocolate, do it. It doesn’t matter if you will make them for breakfast or not, they are great any time of the day. 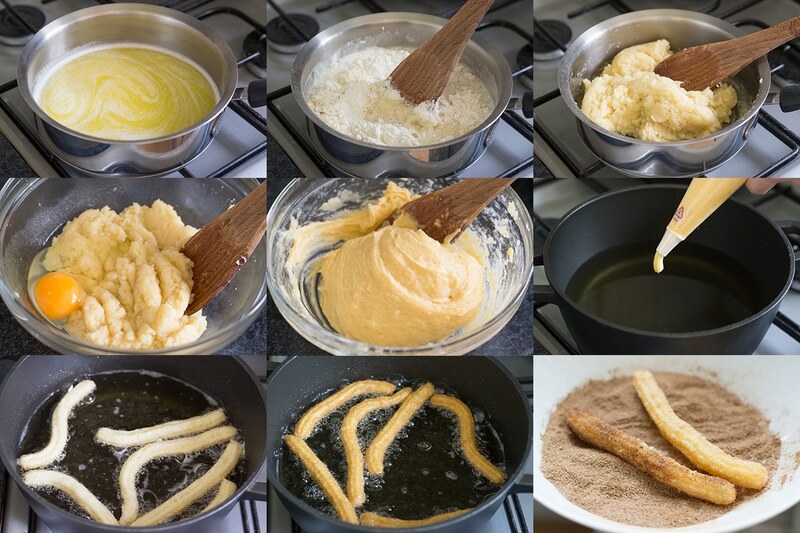 I would even say that it’s quite complicated to make them for breakfast, because Churros really take some time. Maybe on weekends. I had them with my evening tea and they were amazing. Adding them to my “things to taste” list when I will be in Spain! 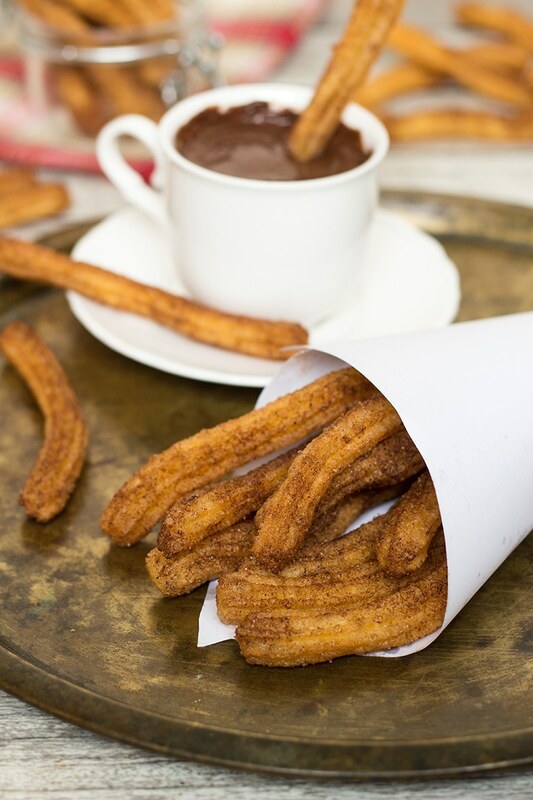 These Churros Con Chocolate will win your heart. Crispy cinnamon covered sticks served with hot chocolate for dipping. So good! The churros. 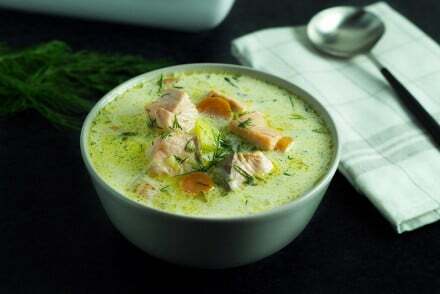 In a small saucepan, heat the water, salt, sugar, and butter. Meanwhile, in a bowl, sift the flour. When water reaches a rolling boil, add the sifted flour and stir continually until you get a dough and it unsticks from the sides. Remove from heat and transfer the dough to a bowl. Let it cool for few minutes (but only for few, it should still be warm). Beat the eggs and add to the dough while stirring. Now transfer the dough into a piping bag with a star nozzle. 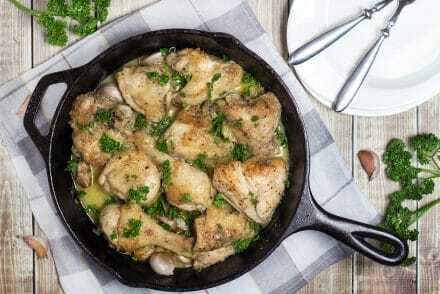 Heat the oil in a deep frying pan until it reaches 360°F (180°C). Squeeze strips of dough into the oil and fry, turning once, until golden brown. Do not overcrowd the pan. When done, drain on paper towels. Mix sugar and cinnamon together and roll your churros in this mixture. The hot chocolate. 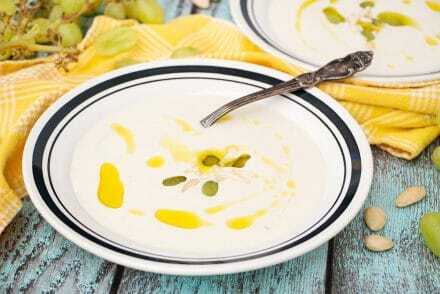 Dissolve the cornstarch in 1 cup of the milk. Set aside. Place the remaining cup of the milk in a saucepan together with the chocolate. Cook on a low heat, stirring continuously, until the chocolate has melted. Add the cornstarch and milk mixture and whisk well. Add the sugar. Cook for 5 minutes more, whisking, until the mixture has thickened. If it's not smooth, whisk a little bit more. 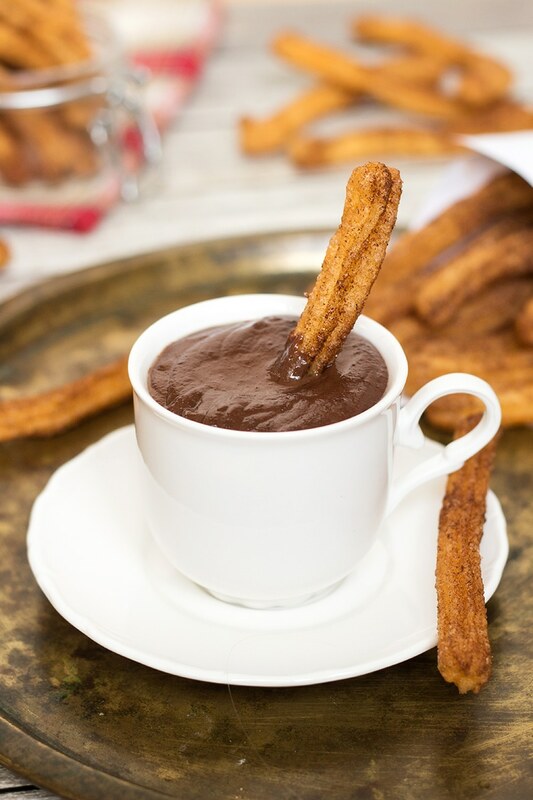 Pour the hot chocolate into a cup or a bowl and dip your churros into it. Enjoy! I love churros!!! I also love your photos of them. And dipped in chocolate, yummy! Wow! They really look yum, and I feel like picking one now. Wow I never thought about where churros came from but it’s so interesting to see the influence behind them. Youtiao are delicious but not usually sweet, so I think churros with chocolate are always going to be my favourite! we love churros ..especially around Christmas time..but I make without eggs 🙂 yours looks so tempting . Yes, they can be made without eggs too. It’s awesome because people who are allergic to eggs can enjoy them too! That is one decadent treat! Wow! Churros is one of my all time favourite things. 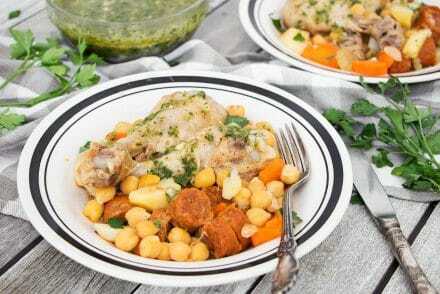 I’m making these asap! These look amazing! 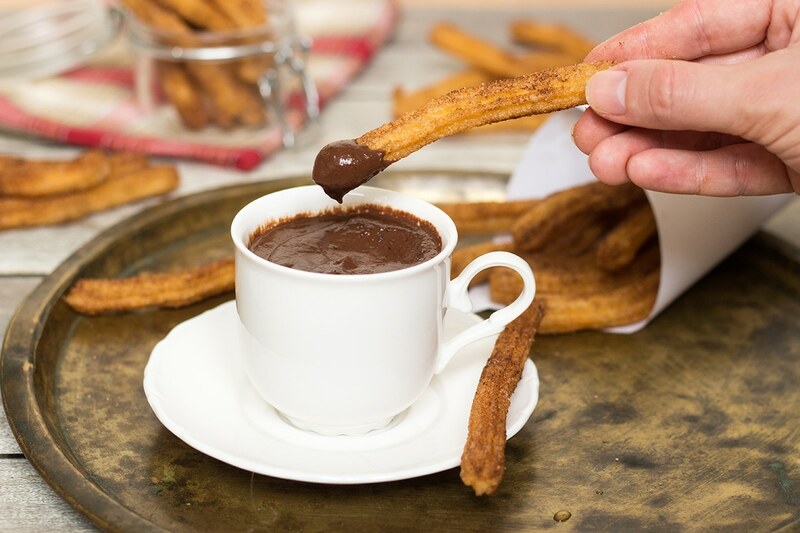 I’ve heard of churros before, but not dipped in chocolate — and that chocolate looks positively decadent! These churros look amazing! I remember get churros on the street from a cart when I was a kid! Awesome memories! I don’t have such memories, because I am living in the country where nobody knows churros, but I am picking up for the past years now! Heck yes! I wish this was in face right now. Amazing! 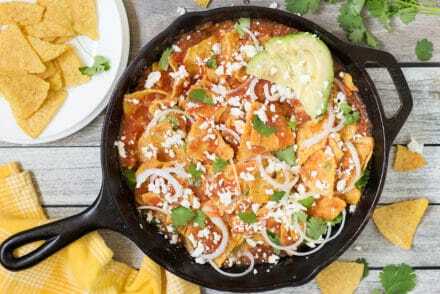 My pal and I are planning on using this recipe for an authentic Spanish tapas project… do you recommend? 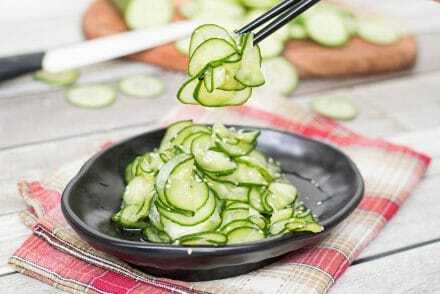 Looks real yum! Subscribe to get new posts delivered straight to your inbox! © 2016 Cooking The Globe. All Rights Reserved.